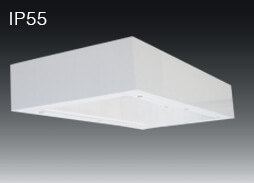 LED panel light (LED面板燈) with wide range of louvers and diffusers accomplish with different interior design. Emergency mode compatible with most emergency power pack specifications are available. 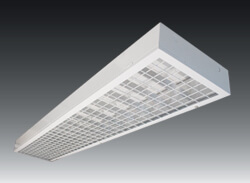 What To Look For When Selecting A Led Panel Light? With such a massive range of led panels light available from so many suppliers, it is extremely important to know how to select the best from the lot. 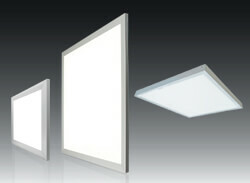 A good led panel light should give good color lights omitted with a number taken from Kelvin scale. For the lesser known, Kelvin is a system which measures temperature but has common usage to specifically measure color temperature. This knowledge is important to understand how a panel actually works. Functioning of the scale directly reflects how a panel is going to work later. So, one should make sure that he is getting a led panel with standard daylight with 4000 K like output. 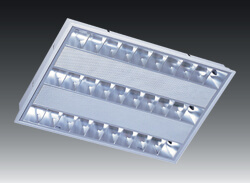 That is because it is widely regarded as the most suitable light color for a wide range of applications. 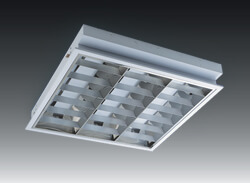 It gives a very natural light output that is perfect for office or other commercial environments. 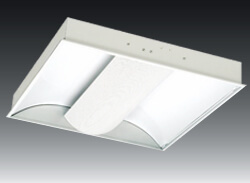 How to select the power rating of a led panel light? 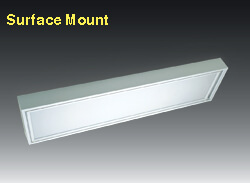 Generally a led panel contains 3200 K brightness level and is designed to replace the old 600 mm fluorescent tube fittings. 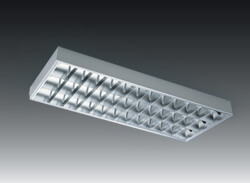 This way one can save up to 45 percent of energy compared to the traditional ceiling fittings with no flicker only giving out a bright light output. This also ensures long life, in addition to significant reduction of maintenance costs. This way one can assure a complete balance of cost, brightness level, light color and energy saving all with virtually zero maintenance. 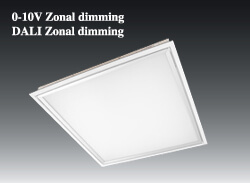 How to select the right led panel light? One must assure whether the panel rates to 36 watts with high brightness, if so that might be achieved by over driving the LEDs in the panel. 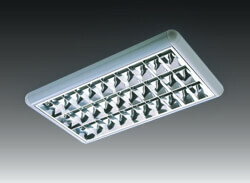 This can be harmful apart from causing quality problems and potential early- failure of the light. Consumer should also keep this thing in mind that some suppliers might achieve brightness by using lower quality and cheap LEDs. Hence, he should get assurance of the products that is likely to lose reliability. The best kind of LED panel light is that in which one uses maximum of 60 mA and run those at only 30 mA to ensure consistency. How hard a led is driven depends upon selection of its resistor. It is unnecessary to use a brightness level of more than 3200 lumens to have a perfect balance of driving the LEDs in correct way. One should consider these above requirements while choosing any LED panel carefully as a right one can last them for even more than 30 Years. Hence, it is always a smart idea to choose the right LED that will last long along within a budget. Industries and office spaces lie in almost every corner of the world today. The rapid growth in Internet and associated industries has led to a large number of office and commercial spaces all around the world. A very important aspect of any commercial space is having efficient lighting that contributes to a productive atmosphere. A well-lit office space contributes to creating an inviting atmosphere that can be productive both for the employee as well as prospective customers. At the same time, a well-lit atmosphere is crucial to building and maintaining a good brand image. What to consider when lighting up office spaces? When compared to residential requirements, office spaces have a lot of differences and needs. Here are some of the things that you need to consider when looking for lighting solutions for your office spaces. 1.Energy saving - One of the most important features that you need to look for in commercial lighting solutions is the energy efficiency of the products. As commercial lighting can rake up huge costs in electricity bills and associated costs, it is very important to choose a solution that is highly energy efficient. There are many led panel options available today that consume very less electricity while providing adequate lighting at the same time. 2.Efficiency - There is no point in splurging on a commercial lighting solution when it is not getting the job done efficiently. 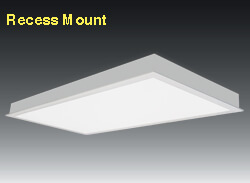 Things to look for in led panel is the intensity of the light and the area that it can serve. As office spaces are generally large closed spaces, multiple panel lights can be used in conjunction with each other in order to get the best results. However, care must be taken to see that the panel lights are energy efficient and cost-saving in nature. Taking a solution with high energy efficiency might be more expensive compared to the alternatives. However, they tend to pay for themselves in the long run. 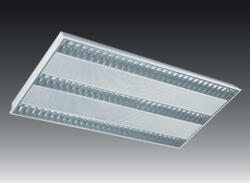 3.Durability - As commercial lighting generally requires more units and higher efficiency, it is important to choose a solution which is highly durable. Many manufacturers today offer warranties that assure better performance and reliability. Therefore, comparing different options available online can get you the most effective results in led panels for commercial lighting. From track lights, spotlights and other similar solutions, there are a lot of options that need to be considered for your commercial lighting requirements. Studies show that office spaces need ambient lighting solutions that are easy on the eyes and provide a natural atmosphere. Anything otherwise can increase stress and strain on the employees which in turn leads to lesser productivity and efficiency. led panels are one of the most widely used solutions when it comes to lighting office spaces and other commercial requirements. Due to their high versatility, they can be tailored to fit any requirement and can be used in conjunction with other lighting solutions to get the most effective results. By consulting with a professional in the industry, you can quickly determine the most effective solution for your requirement. 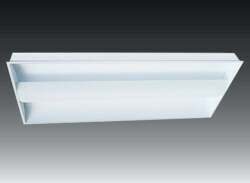 Depending on the office space, panel lights are the most commonly used option. However, for other commercial spaces and areas, other options such as track lights, spotlights, and high bay lights can be used to provide the best results. You can also go through reviews and feedbacks left by other customers in order to get a better understanding of the efficiency of the lighting solution in providing the desired outcome. This can make sure that you get the most effective results without compromising on the cost or quality of the solution.